The idea of a National Redress Scheme (NRS) for victims represents a positive step forward and is something I have proposed for a long time. 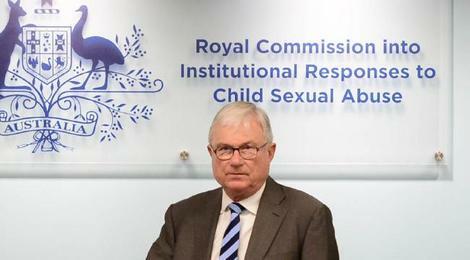 A model for an NRS has now been recommended by the Child Abuse Royal Commission (RC), and on Friday the Commonwealth Government back flipped and expressed support for the scheme proposed by the RC. The following summary addresses concerns regarding the RC’s scheme. 1. The concept of quick and easy access to compensation for child victims is a positive one, and appropriate given the circumstances. Instead of the States running their own separate schemes, the Commonwealth would administer one federal scheme where all victims came under the same umbrella; so all Australians would be treated the same. Whilst this sounds promising in theory, the logistics of achieving harmonious action between all States and Territories can prove quite challenging. Remember daylight saving? 2. Redress is a word often used in legal circles, however many people may not be completely clear on what it means. Redress is more than lump sum cash compensation. It includes cash, counselling, non-cash items, and medical and dental care. Redress covers everything that makes a genuine attempt to mend the damage done to victims. In many cases, this can go a long way to restoring normality and comfort into the life of victims of abuse. The RC has recommended that financial redress be capped at $200,000 with a minimum payment of $10,000. The average payment will be $65,000. How did the RC arrive at this decision? Who has deemed these appropriate for the experiences of the victims? i. The RC has plucked these numbers out of the air. There is no scientific basis for them. My guess is that the Royal Commissioners wanted to make the numbers palatable to the churches and State governments. They didn’t want to ask for a number that might scare them away. They didn’t want to send the churches bankrupt. So they came up with figures they thought would not be too shocking. ii. An average payment of $65,000 is relatively low. My own clients who were abused in State care are averaging over $172,000 in compensation. This is a significant difference and should be reviewed. 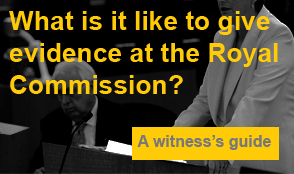 The RC’s recommendation is little better than the previous victims compensation scheme which operated in NSW until May 2013.
iii. The RC does not accept that payments should be assessed by the principles used by our courts. This means victims will get much less, and loss of income will not be taken into account. iv. The scheme is for sexual abuse victims only. This means victims of other forms of abuse will be turned away, despite extensive suffering whilst in care facilities. This greatly limits the number of people eligible for access to redress. v. Access to legal assistance is only available via a small fixed fee for a lawyer to advise you but only when an offer is made to you by the National Redress Scheme. There will be no legal fees paid other than this one-off advising fee. Unfortunately, it may be difficult to access experienced private legal professionals to conduct these services, and the majority of legal assistance in these cases will be carried out by community legal centres. The level of assistance available essentially prices private law firms out of the equation for victims, and it is concerning that suitable outcomes may not be achieved for victims as a result. It appears the RC is discouraging private lawyers in an attempt to minimise the applications for the NRS and preventing people knowing how much they may be entitled to. 3. The Commonwealth government has announced it will enter discussions with the States about setting up the NRS, citing many complex issues to discuss. Previously, the Abbott government refused to commit to an NRS, having been advised from the Australian Government Solicitor that legally it wasn’t possible, and even if it were, it would be too expensive for the federal government. The Government’s new decision to support an NRS is a back-flip on its previous stance. Consider this: The PM is a patron of the advocacy group Care Leavers Australasia Network (CLAN) and joined Mr Rudd in 2009 to apologise to Forgotten Australians when the leaders of CLAN were guests sitting in the front row in Canberra. The PM is under pressure to act; but with expenditure cuts by the Treasurer, including cuts to disability pensions. Regardless of other factors, without all States and Territories in agreeance, there will be no national scheme. 4. The RC’s backup plan is for the states to act alone and run their own schemes, funded by the churches and respective State governments. The trouble is that the budget disparity between States leaves victims in the less wealthy states worse off. There would be no equality of treatment. This does not represent the most just way ahead. Why should victims of one state receive less than another, as a result of that state’s available funding? If the national scheme doesn’t go ahead, this is the situation victims will face. Currently, Victoria is already planning its own State scheme. The best way ahead is for a national scheme with a cash cap of at least $500,000 and an average payout of $150,000 to $300,000. The scheme must include victims of both sexual and physical abuse and for lawyers to be paid their reasonable fees to act for victims. Compensation should be assessed by common law methods as if it were going to court. This is an expensive scheme for the churches and States who are the ones who created the needs of victims today. Many churches might have to liquidate assets or appoint administrators, declaring bankruptcy like many Catholic Dioceses in the United States have done. The churches and states would pay the administrative costs of the NRS.